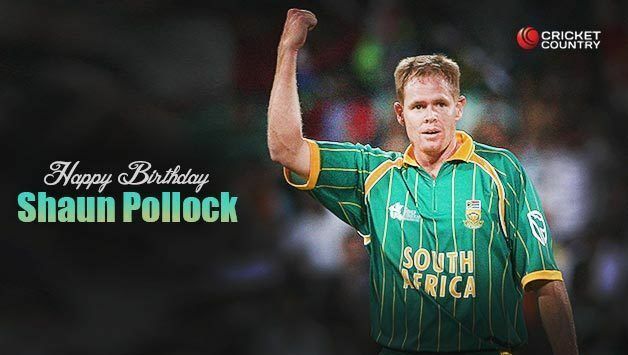 Shaun Pollock was a bowling all-rounder. 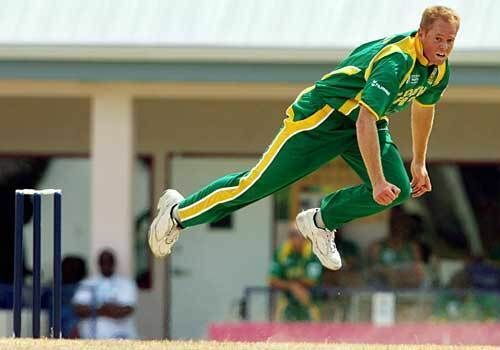 After Hansie Cronje was banned from cricket for life, Pollock took over the captaincy in April 2000. He was eventually removed from the captaincy after South Africa's performance in the 2003 Cricket World Cup. Although no longer captain, he retained his place in the team. After a disappointing Test series tour of Australia in 2005/2006, he faced criticism for losing his wicket taking ability. 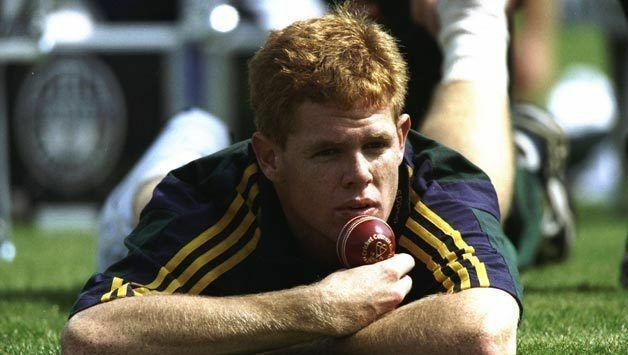 He has the lowest (best) economy rate of any bowler to have taken 300 ODI wickets, and he is also the first South African and only the tenth player to take 400 Test wickets. In September 2007 he was dropped from the South African test side for the first time in his career. Pollock was later readded to the test series against the West Indies, whereupon he announced his retirement, effective on 3 February 2008. He stated that "I realise I have been blessed by God and feel I have nurtured my talents to the best of my abilities." After South Africa sealed a series victory against the West Indies, Graeme Smith paid tribute to Pollock, stating "It's very important that people celebrate what he's given to South African cricket and what he's achieved as an individual." 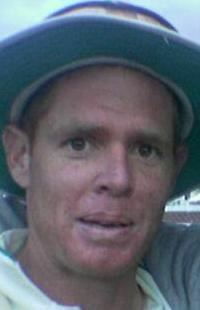 Shaun Pollock later represented Mumbai Indians in the Indian Premier League, and Durham Dynamos in the 2008 Twenty20 Cup in England. Pollock took four wickets in four balls on his first appearance for Warwickshire – in a limited-overs (B&H Cup) game v Leicestershire at Birmingham in 1996. He also recently received the SA Player's Player award and the SA ODI Player of the Year Award. Of the 18 players who have bowled at least 2,000 balls for South Africa in ODIs, Pollock's economy rate of 3.65 runs per over was the second best behind that of Fanie de Villiers. 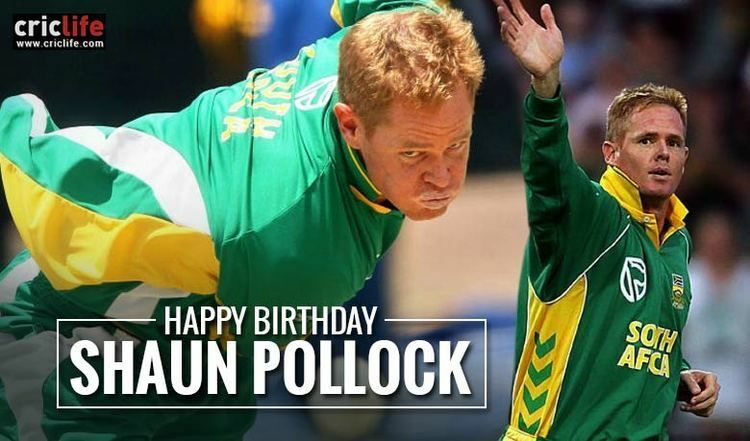 Shaun Pollock has the record for scoring the most number of test centuries when batting at number 9 position (2) and in fact, he's the only player to score 2 test centuries when batting at number 9 position. Pollock comes from a family of mainly Scottish ancestry. His paternal grandfather, Andrew Pollock, who played for Orange Free State, was born in Edinburgh. He is married to Patricia "Trish" Lauderdale and has two daughters, Jemma and Georgia. Jemma was born in August 2003, and Georgia in July 2006. Lauderdale was a finalist in the Miss South Africa pageant in the early '90s and also worked for MTN, a South African telecom company. He is a teetotaller and a devout Christian. Pollock is a graduate of the University of Natal with a bachelor's degree in commerce.